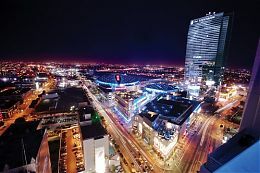 Experience the exciting sports and entertainment district of L.A. LIVE this holiday season. Park your car and discover a myriad of great options just steps away from the JW Marriott Los Angeles L.A. LIVE. For more holiday fun, unwind with a holiday-themed apres-skate cocktail in The Mixing Room. To book, please call (888) 832-9136 or visit www.lalivemarriott.com and enter code ZJ5. 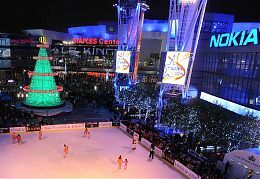 Spend an evening full of holiday spirit at L.A. LIVE with a festive "Supper & Skating" package which includes 3-course dinner at LA Market, ice skating at LA Kings Holiday Ice presented by Coca-Cola and skate rental. $30.00 per adult and $20.00 per child; valid through January 5th. For reservations, please call (213) 765-8630. 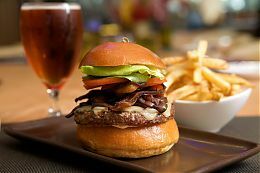 Every night of a LA Kings home game at The STAPLES Center, The Mixing Room, located on the lobby level of the JW Marriott, offers a special Burgers & Brew menu from 5:00pm to 9:00pm. 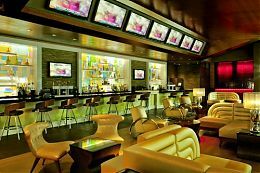 Guests can choose any burger and any draft beer for $15.00 and enjoy all the pre-game coverage on one of The Mixing Room's ten 50" televisions. Seasonal spa treatments with cranberries, pomegranates, fresh plums and spices relax and restore the mind and body and inspire holiday spirit through January 31. Guests may choose from treatments such as the Sugar Plum Facial, packed with phytonutrients and vitamins to fight free radicals and relax fine lines and wrinkles, a Cranberry Pomegranate Body Treatment with a natural cranberry and pomegranate sugarcane polish and a hydrating lotion application and an Egg Nog Pedicure which gives tired feet the attention they deserve with a rejuvenating pedicure inspired by the decadence of the classic holiday treat. Each guest who enjoys a seasonal spa treatment will leave with a farewell gift from hotel's Executive Chef. Come in from the cool of ice skating at the LA Kings Holiday Ice and warm up with one of our specialty holiday drinks such as the Snowball with Absolut Vanilla Vodka, crme de menthe and cream served on the rocks with a white cocoa rim or the Classic Spiked Eggnog with Markers Mark Bourbon, Hennessey V.S.O.P and Grand Marnier, garnished with nutmeg. Apres-skate holiday cocktail menu served nightly in The Mixing Room through January 1.